National Advocacy Groups Back Candidates To Challenge Local Prosecutors The office of district attorney has become a target for those pushing for criminal justice reform. William Roundtree worked as a canvasser for the American Civil Liberties Union in Dallas ahead of the Texas primary election, part of the organization's push to educate voters about a prosecutor's power and how the office can be used to drive reforms. When William Roundtree got out of prison earlier this year, it took him just a few days to find a job that put his experience to work. He spent 13 years and 10 months in prison for receiving stolen property. It was the tail end, Roundtree says, of an all-too-common story in the Dallas neighborhood where he grew up: drugs, dealing, addiction, stealing. After a few short prison stays, he received one long sentence for stealing tools and being a habitual offender. During that time, he says, he got clean without any treatment. "My son grew up while I was away," Roundtree says. "My son was seven, he's a 20-year-old-man now, and I'm a grandfather." A couple days after leaving prison, he ran into people at a light rail stop working for the American Civil Liberties Union of Texas. 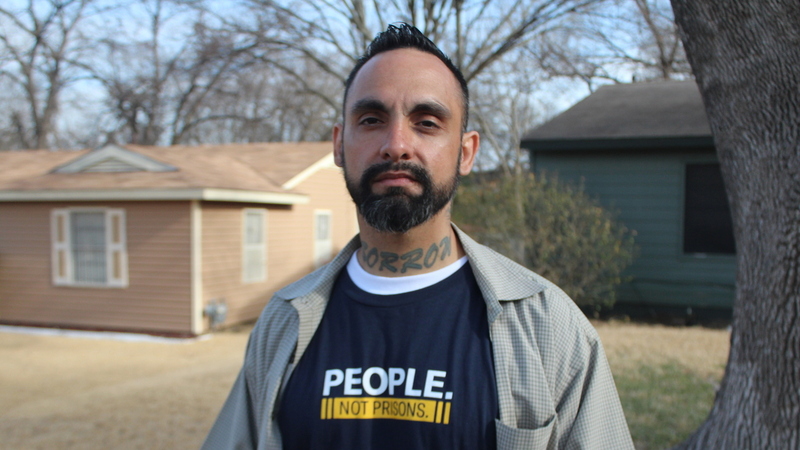 Soon, the tattooed 40-year-old was making $12 an hour knocking on doors and talking to voters at shopping centers and train stations about the upcoming primary election for the Dallas County district attorney. "Maybe things could've been different in my life"
Roundtree wasn't pushing a candidate, but an idea: that prosecutors are incredibly powerful, and that voters could use the upcoming election to elect one committed to reducing incarceration rates and racial disparities in the criminal justice system. And it wasn't hard for Roundtree to make the pitch personal. After all, policies in the district attorney's office shaped his own life. "Way back when I was young and started taking these convictions, what if there had been a different agenda in the office of the DA?" he says. "I'm not saying I was innocent or didn't deserve to be punished, but maybe things could've been different in my life." Roundtree is the front line of a national push to fundamentally change criminal justice in America — one local prosecutor at a time. Nationwide, the ACLU is launching voter education and mobilization campaigns in up to two dozen cities across 10 states as part of its campaign to reduce jail and prison populations. Other advocates are also organizing around prosecutorial elections, and social justice political action committees are spending big to elect reformers. "We know that prosecutors at the end of the day are the ones who decide whether an individual comes into the justice system, and what that trajectory looks like," says Miriam Krinsky, executive director of Fair and Just Prosecution, which works with reform-minded elected prosecutors across the country. Krinsky says prosecutors make big decisions about how people get charged: whether to pursue a charge that carries a mandatory minimum sentence, or something lighter; whether to try a minor as an adult or seek the death penalty. They can also decide not to charge someone, or whether someone should get offered drug treatment instead of jail time. That's at the beginning of the process. At the end of it, prosecutors also wield incredible power because they set the terms of plea deals, which is how more than 90 percent of criminal cases end. Elected prosecutors are also hugely influential in state capitals, where Krinsky says they often have "more clout than any other in deciding what sort of legislative changes will happen" when it comes to criminal justice. Across the country, a new breed of prosecutors have taken office in recent years after campaigning on a promise to pursue policies meant to make the justice system more equal and less punitive. Many are people of color and women, which is notable in a country where nearly 80 percent of the nation's more than 2,400 elected prosecutors are white men. And they're making significant changes. In Chicago, Cook County State's Attorney Kim Foxx stopped prosecuting people caught driving with licenses that had been suspended for financial reasons, such as unpaid tickets and child support, which many argue cause undue hardship for poor people. Last month, Foxx released six years of felony criminal case data, a rare push for transparency cheered by reform advocates. In Houston, District Attorney Kim Ogg decriminalized possession of small amounts of marijuana and staffed up her office's civil rights division, which investigates police misconduct. In Orlando, State Attorney Aramis Ayala pledged not to pursue the death penalty, though she was forced to back down on the promise after the governor sued her. In eastern Mississippi, District Attorney Scott Colom stopped prosecuting some non-violent crimes and expanded an alternative sentencing program. Now, he's working to set up a unit to identify and investigate potential wrongful convictions. Perhaps the most sweeping changes are happening in Philadelphia, where District Attorney Larry Krasner, elected last fall, rolled out a sweeping set of policy changes, instructing his prosecutors to consider the cost of incarceration at sentencing hearings and including a commitment not to seek cash bail for people accused of some low-level crimes. A majority of the nation's 721,000 jail inmates are awaiting trial, not serving sentence for crimes they've been convicted of committing. Arisha Hatch, director of Color of Change PAC, which focuses on African-American civil rights, says this focus on changing key players in the justice system is an outgrowth of the activism that erupted into the Black Lives Matter movement against police brutality. "What we're seeing is the materialization of all the work that really was amplified during Ferguson," Hatch says. "We're seeing folks get really serious and intentional and intelligent about the way power operates in our broader system of incarceration"
Hatch says Color of Change will back 10 to 20 different prosecutor candidates across the country this year, including in Dallas. Most elected prosecutors run for re-election unopposed, and Hatch says one of the biggest challenges is convincing lawyers committed to social justice work that the prosecutor's office is the best place to effect change. "We're looking for folks that really understand that these sort of tough-on-crime policies and rhetoric really don't serve our communities or make our communities more safe," Hatch says. Anthony Graves, shown here in 2010, was imprisoned in Texas for nearly two decades for slayings he did not commit. Graves said being wrongfully convicted gave him special insight into the power prosecutors have. But many in law enforcement say changing the criminal justice system by changing prosecutors is misguided and warn that policies pursued by pro-reform prosecutors to reduce mass incarceration and disparities might leave communities less safe. "If people feel that the laws are unjust or the sentences are too long, the appropriate way to resolve that issue would be to amend the laws, or change the sentencing provisions, rather than trying to elect officials who won't enforce the law." says Jim Pasco from the national Fraternal Order of Police, a union that represents more than 300,000 law enforcement officers. And at the federal level: Attorney General Jeff Sessions has reversed Obama-era policies focused on reducing incarceration rates and improving relationships between police departments and communities of color. "This president was elected as a law and order president. He was elected to make America safe again," Sessions told reporters last year. In Dallas, though, there is no self-proclaimed law and order candidate for district attorney. Both the Republican incumbent and Democratic challenger are talking reform. 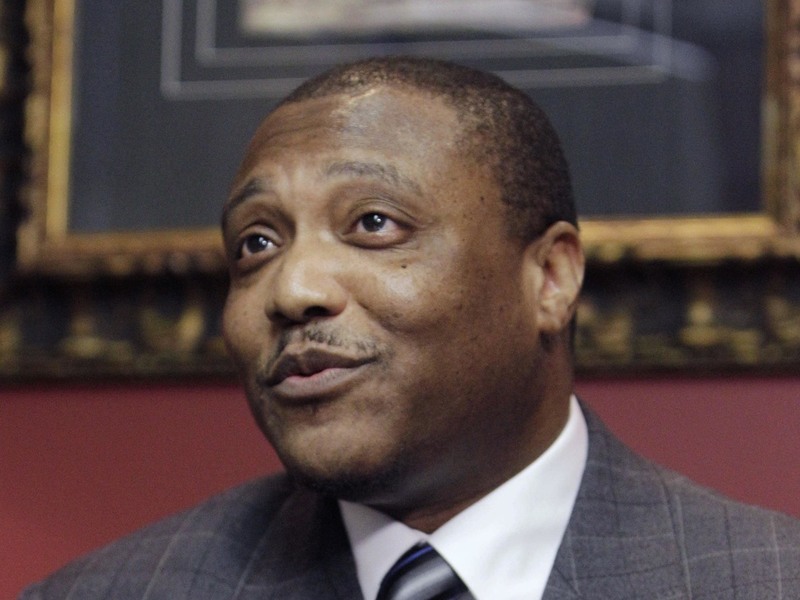 "Every candidate is talking about reforming the system," says Anthony Graves, an exoneree freed after spending nearly two decades in prison for a crime he didn't commit. "What we want to know," says Graves, who now leads the Smart Justice campaign for the ACLU of Texas, "is how are you going to do that?"